Your organization’s websites are some of its most valuable assets. But they are vulnerable to security issues and criminal attacks. 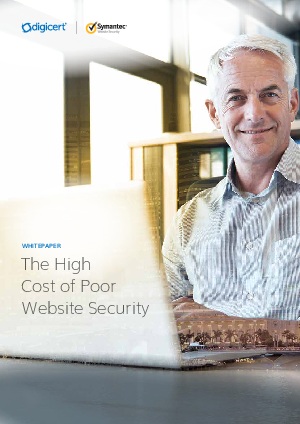 Fortunately, many of these problems are preventable with effective, integrated website security management. For ecommerce sites, you can calculate the cost of downtime in terms of lost revenue. You can add to this the considerable cost of remediation, and beyond this, the damage to customer confidence and trust that may be intangible but will be significant. Even when there are no security issues, inefficient processes result in deployment of additional resource that drives up cost. This article explains why in comparison to the above costs, investing in security management, particularly across SSL/TLS Certificate management, can be a highly efficient and cost effective measure to take.